In follow up to my prior post about the DJI Phantom 3, here is the article by Alex Fitzpatrick of Time, Inc. in which I have a couple of quotes. 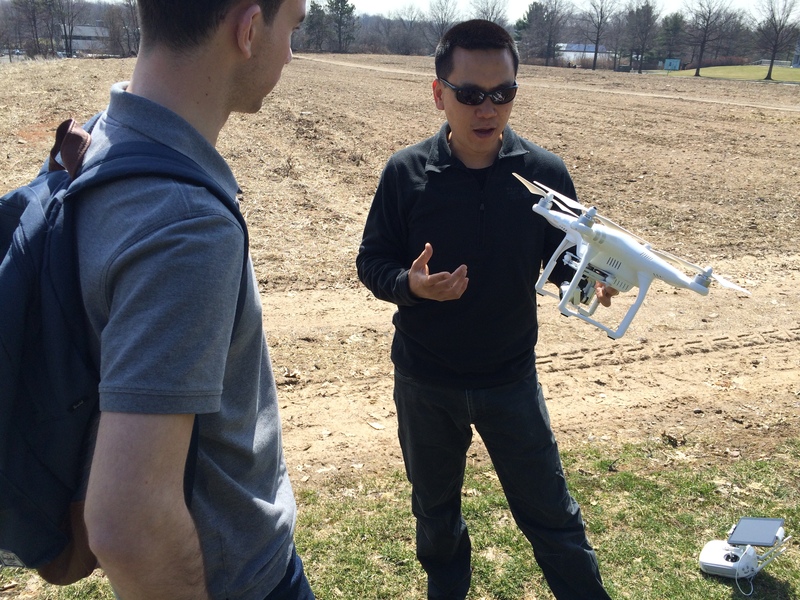 I had the distinct pleasure on Monday to spend the day with DJI’s Director of Aerial Imaging, Eric Cheng. With their new product debut a couple of days away, I was tasked with sourcing a private flying locale and aiding in press demos. Below, Eric is speaking with Alex Fitzpatrick of Time Inc. about the new features of the Phantom 3 and below that a screengrab of the aerial “etch a sketch” feature of the new DJI Pilot Tablet App. Just kidding – the Phantom will trace its route in an inset window that you can enlarge to show its flight path. 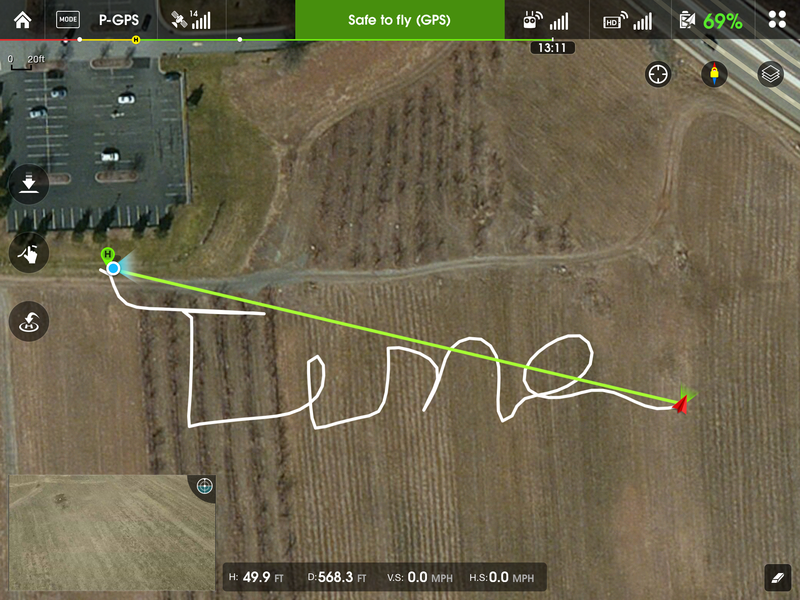 Eric skillfully flew the Phantom 3 to spell the word “Time” for Alex. 4S Battery with more powerful motors makes this the fastest and most responsive Phantom yet. The enhanced GPS capability makes GPS lock very fast and very stable. I mean like you are parked in the air stable. In the wind. No drift at all. Borrowing many features from the Inspire 1 such as built in Lightbridge technology, bottom facing sonar for super stable flight without GPS, and sonar based landing assistance with absolutely no ground effect perceived at hover inches above the ground. Price points are as incredible as the performance – the Phantom 3 Professional has a 4K video camera and captures high quality stills in DNG Raw format – priced at US$1259.00. The Advanced version has a camera capable of 1080p 60fps and the same quality stills at US$999.00. Both use an aspherical fixed focal length lens that boasts distortion free imagery, it will live stream to YouTube, log flights, and features Director- an automatic video editing system based on moments you mark in real time. The democratization of the skies continues as operating one has never been easier. This copter is stable, fast, and fun! Thanks so much to Eric and DJI for giving me the opportunity to see it in action (and fly it like I stole it!) and to provide support in the NYC area leading up to the product launch.